November, if you are unaware, is a special, special month. It is a month set apart by thousands of people around the globe as a swash-buckling, flying-by-the-seat-of-one's-pants attempt to write a novel. 50,000 words in 30 days. Check it out. I am one of those people. It has been fun. Writing my novel has been taking up most of my free time (my excuse for the sparsity of posts... but who's counting, anyway? ), as well as most of my free mind. But it doesn't just take; it gives back. And today, it has given back extravagantly. I have made a new friend. A fellow novelist from school and I decided to meet at a cafe to write together. By the recommendation of a friend we chose Nina's Coffee Cafe in St. Paul. This place is my new best friend. A large, lofty-ceilinged, many-nooked room greets you as you enter through a door on the corner of a huge, red-stone building. Arches and a tiny balcony and big windows, old chairs and couches and counters and tables, people typing away on laptops, chatting, reading books or newspaper comics, deliciously moist scones and hot chocolate in a big white mug with 'Nina's' scrawled on it in spindly black lettering... and best of all, down a much-postered stairway, Common Good Books. At the top of their website it says "G. Keillor, Prop.". That should give some idea of the flavor of this place. Nothing beats independent bookstores. You know every book in there is thoughtfully hand-picked; love of books and personal care infuse the place with creative energy and curiosity. 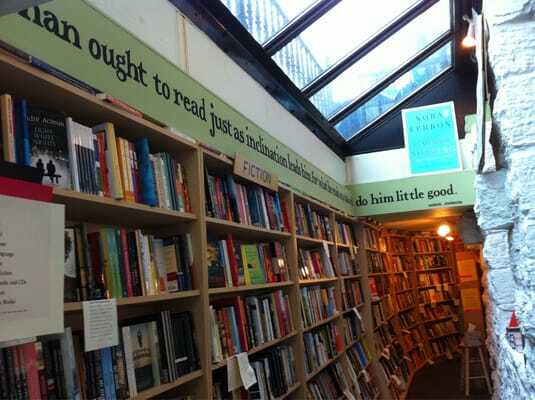 If you live around the Twin Cities and you like books, go there. Preferably with me. Call me, and we'll spend the day there. And this is random but the Guthrie Theater giftshop is fantastic. So what is your novel about? Can I ask that question? ?